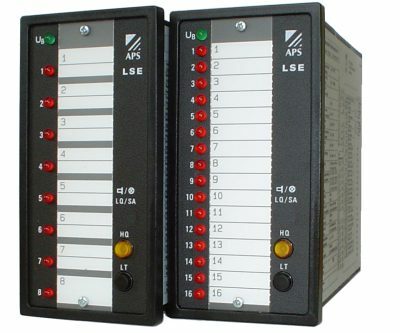 The LSE Common Alarm Indicator is designed to signalise technical faults. The units are front mounted in a standard cut-out. All electrical connections are realised by plug-in screw terminals on the back of the unit. Therewith, unit changes and mensurations are easily to realise. 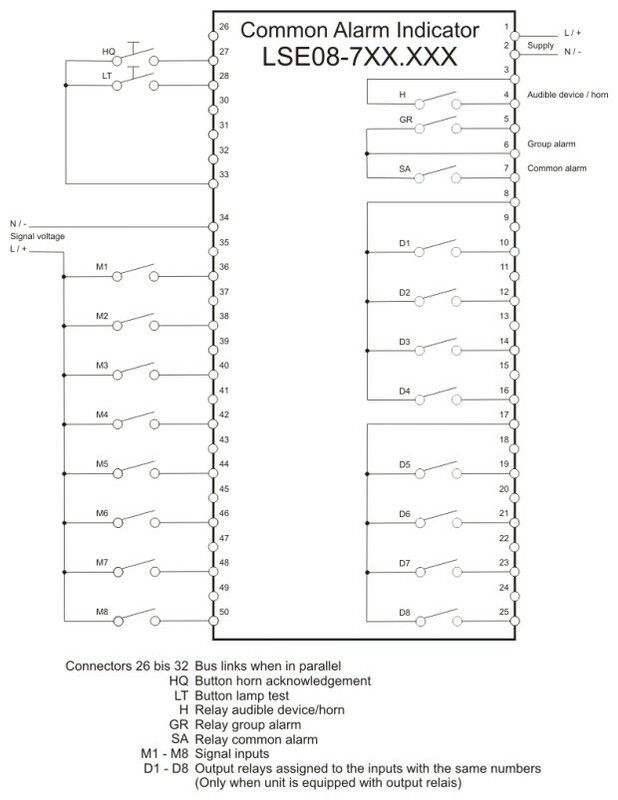 To build larger systems with a higher amount of inputs than a single device offers, it is possible to connect up to twelve units. The front is equipped with 8 or 16 red alarm LED's and one green LED to indicate the normal condition. In addition to this, buttons for the lamp test, horn acknowledgement and a buzzer are built in. The acknowledgement and lamp test can also be realised by external buttons. 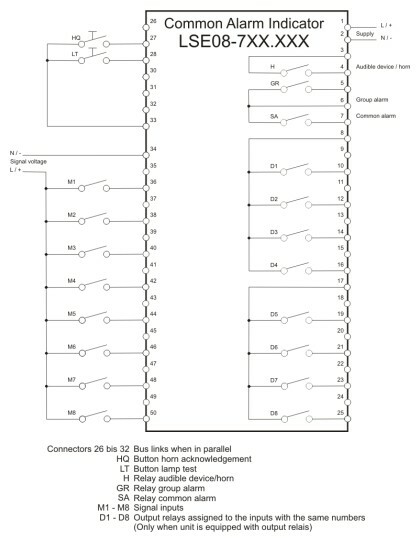 The unit provides one potential free contact (NO) for the audible device / horn and two contacts (NO) for group and common alarm with the same potential. The supply- and signal voltage is available in many different varieties. 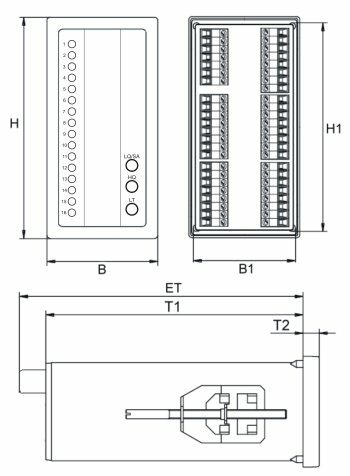 As an option the units are available with output relays. It is also possible to produce the Common Alarm Indicator without buttons and buzzer or with a time delay for all inputs. 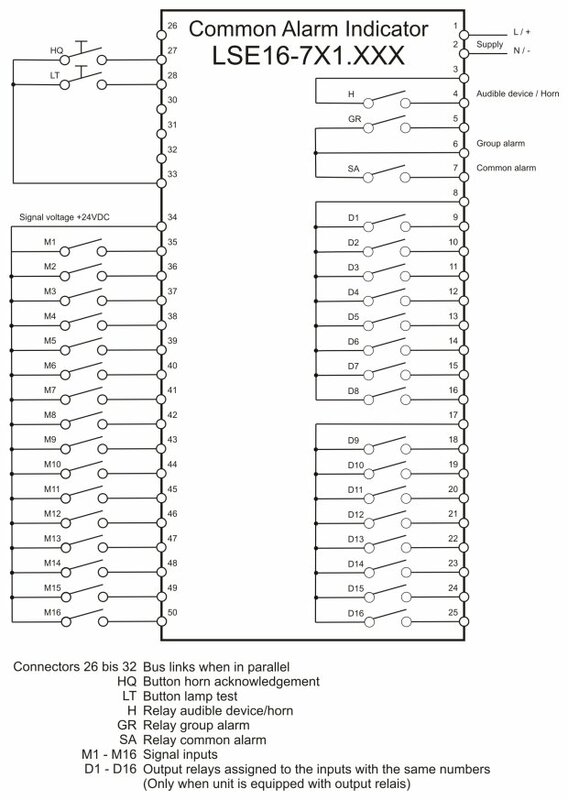 The common alarm relay is active as long as a signal input is active. 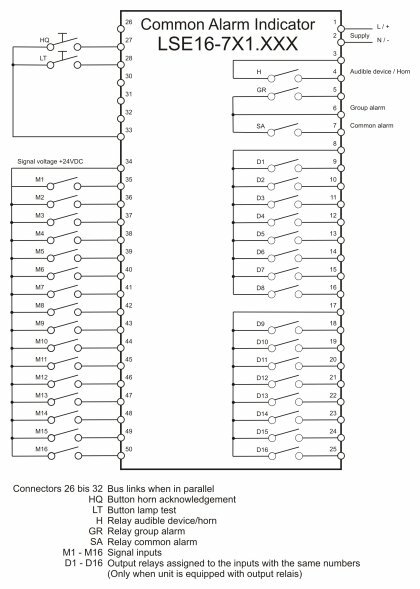 If the unit works in a network the relay is activated by every signal input in the whole system. 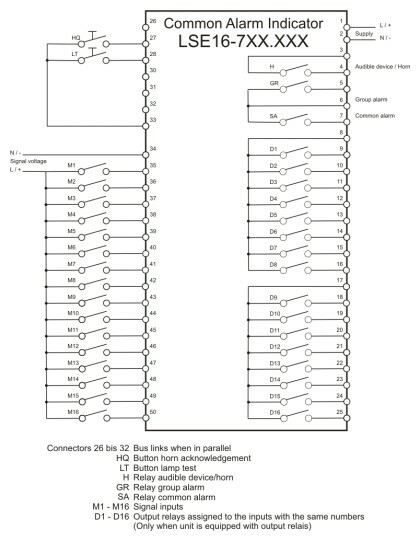 The relay switches off when all signal inputs are off. 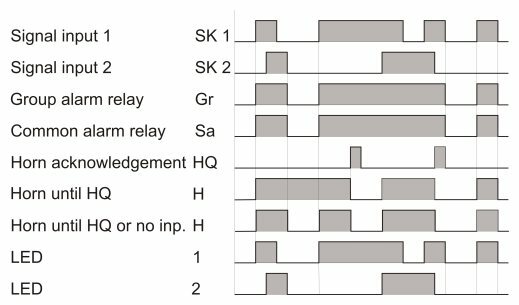 The relay stays active until acknowledgement, even when the signal inputs went off meanwhile. Acknowledgement is possible with the HQ button or an external switch. 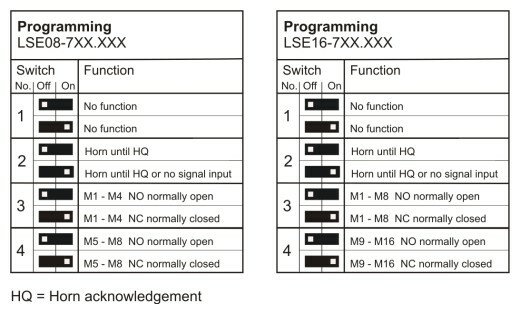 The relay stays active as long as a signal input is active or until acknowledgement. Acknowledgement is possible with the HQ button or an external switch. 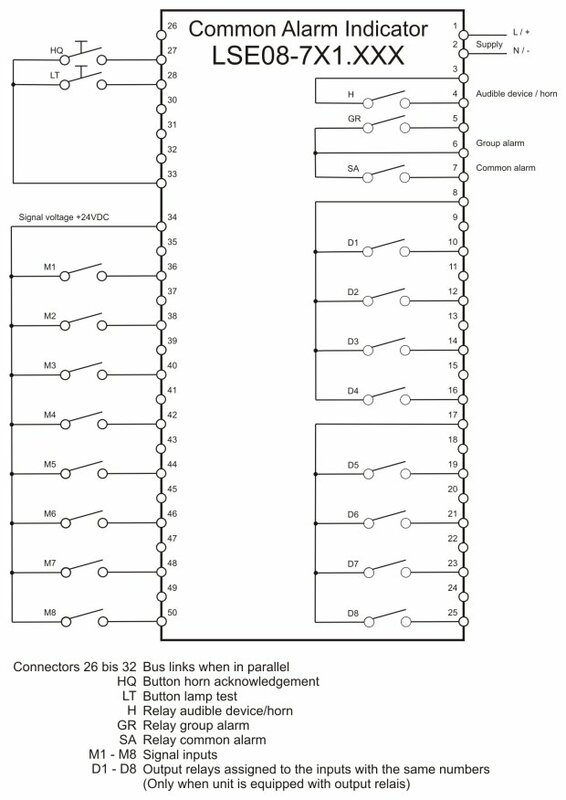 The output relays are connected to the signal input carrying the same number. 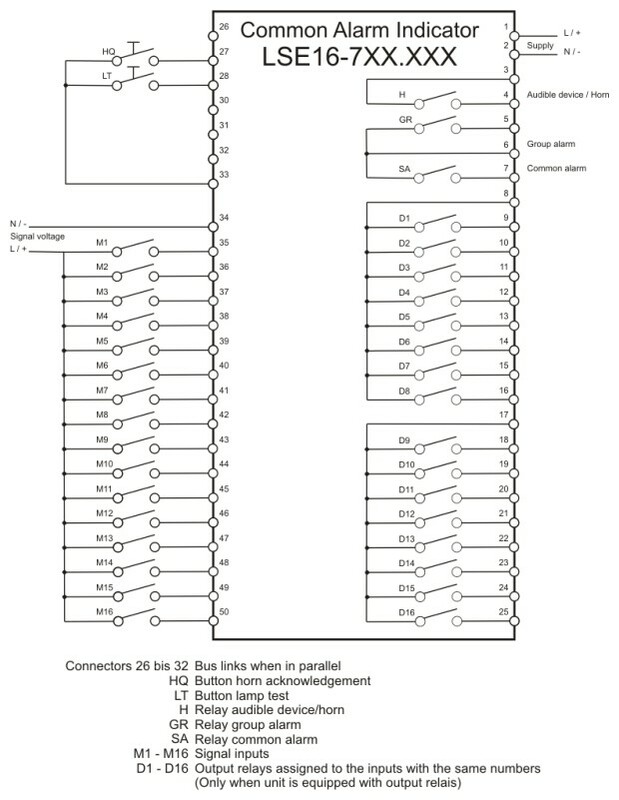 The relays are working as an image of their inputs. Please note that the supply voltage must be switched off and on to activate the programme!